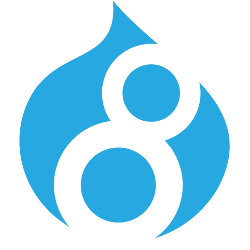 Drupal 8 is, arguably, the most powerful, open source content management system available. Once configured for a project or site it offers tremendous power to the user with point and click ease of use. With that power, however, comes a degree of complexity in setup and maintenance that proves a barrier, preventing use of Drupal 8 for many organisations. I-ntarsia is specifically designed to overcome the barriers that prevent organisations using Drupal 8. We do this using a unique combination of systems and software we have created based upon our extensive experience. Most important, however, is the availability of our support and development staff to help our clients with their projects. When we say ‘Managed Drupal Platform’ we mean managed by people. Our people based management approach starts from the moment you start considering a project. This will enable you to cost your project with confidence. Once the project gets the go-ahead we will deploy the development server(s) you need and create our project plan based upon your timescales. You will have almost instant access to a fully supported Drupal 8 platform to start your own development. Access to all of your I-ntarsia servers and resources is via our unique management portal. If required we will assist in implementing the entity model and the development of any custom modules, or the testing of any Contrib modules within the I-ntarsia 8.x environment. If you will be developing your own custom modules we will ensure you have a test system and an approval process to ensure that your development will slot into the I-ntarsia 8.x platform without issues. When you are ready we will deploy your production server and establish the processes you will need to launch and then run your new project. okCompetitive Advantage: The I-ntarsia Managed Drupal Platform means that you can create a powerful Drupal 8 service whatever skills you can bring to bear on the project. okPeace of Mind: You can also have the confidence that what you deliver will be supported and maintained to the highest possible standards.